R.R. has kindly answered a few questions for us today, so lets get to 'em! 1. Lets say unicorns come in different colors besides their lustrous white coats- what color of unicorn would you like? 2. In your own words, you grew up as an army brat. Was there a certain place you really enjoyed living, or would love to visit again? I lived in Korea, Kansas, Hawaii, Washington State, Germany, and California. I loved Washington State, and that's why I moved here after high school. It's the best place in the world, in my humble opinion. 3. I love the names- Night Spark, Dagger, Ash- of many of the unicorns in your books. Did you have to think long and hard for them, or did they just come to you? I spent several days brainstorming names for the unicorns and ponies in Wonder Light, experimenting with different combinations. I could pretend it was hard, but really, the whole time I was thinking, "Life doesn't get any better than this!" 4. When writing a series, what do you find is the hardest thing to keep track of? I stress the most over each character's hopes, dreams, growth, and relationships with other characters. It's not that I lose track, but it's all about the relationships to me and it can be really challenging to make sure I continue to develop each of them throughout the series. 5. It's a nice afternoon, and you have a hammock in the shade all to yourself. What snack/beverage are you consuming and what book from your TBR pile do you crack open next? That red button is exactly how I'd like to see my first unicorn someday(if you know, unicorns were real, but that's beside the point). Doesn't it look like it should be standing on a craggy cliff, staring wisely down at you as you gape up in grubby wonder at it? Sorry, can't help it, big fan of The Last Unicorn here! 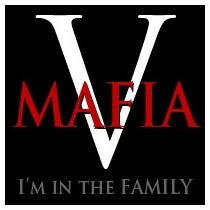 The winner of the buttons will be announced 4/28 on Twitter & also updated on this post. Congrats to R.R. 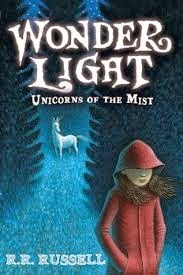 on Wonder Light's paperback release, and the imminent release of The Unicorn Thief! Twig is used to feeling unwanted. Sent to live on a pony ranch for "troubled" girls on a misty, haunted island, Twig is about to discover the impossible — someone who needs her. Jolted awake from a bad dream, Twig follows the desperate whinny of a terrified horse out to the stables. There in the straw is a bleating little scrap of moonbeam. A silver-white filly with cloven hooves and a tiny, spiraling horn. Twig and Ben are unicorn riders- guardians whose job it is to keep the last free unicorn herd safe. But a new danger is threatening the beautiful, mysterious creatures of Lonehorn Island. 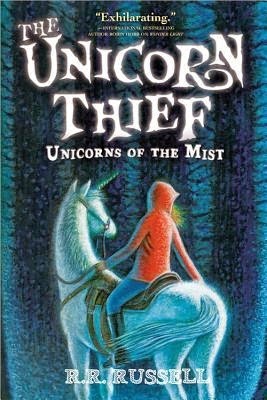 A thief from Terracornus has snuck onto the misty island and stolen Ben's loyal unicorn, Indy. There's only one path for Ben and Twig- straight into the secret, shadowy heart of the island and through the passage to Terracornus. But their missions is unexpectedly complicated by a secret Ben has been hiding. A secret about the Queen of Terracornus who has enslaved all the unicorns of Ben's homeland. A secret that could save them all- or start a war. UPDATE: The winner of the buttons is Kimberly Afe! This looks cute :) I love unicorn stories, but this seems like a new twist on them. Fun interview! Well this sounds right up my street! Of course unicorns are real, (for me anyway!). Great buttons will look R.R, up when next on Twitter. This looks lovely! Thanks for the info. What fun titles...and I love the covers! I watched The Last Unicorn dozens of times growing up. Loved it. Looks like the books would be a good selection to read to my daughter. Wait- there's a movie?! I've only read the book. I need to remedy this asap! 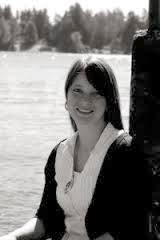 Nice interview--congratulations to R. R. Russell. I love the magical book covers. I love, love, love the concept for this series!! It so appeals to the horse-loving girl inside me :( Great interview, ladies, and congratulations R.R.! I love these covers. Very Harry Potter feel to them. Great interview! Now, I'm intrigued about unicorns and the Pacific Northwest. Good comparison- now that you say that, I totally see it. Fun interview & really cute buttons!! I love great new finds - thanks!! The blue is very pretty too! =) Thanks for stopping by, Hilary! Sounds fun, and yea, spending afternoons coming up with unicorn names is a dream ~ Lovely interview! I haven't read this and would love to. Thanks for the chance to win a copy. And...pearly blue unicorns sound about perfect. Blue unicorns sound fantastic, and I like the blurb. Congrats to the author. These are great covers! It must have been fun traveling as a kid and getting to see so many places, but I'd imagine the actual moving part was never fun. That would be hard, I'm sure. Packing up is the worst. All the junk we accumulate over the years! I've visited Washington once and loved it! It was in Sequim and the weather was beautiful. No rain and the days were just perfect! It's 10:30 here at night, and my mouth is watering thinking about one of those Pineapple Whips! *sigh* And, ooh, Disneyland- have fun!